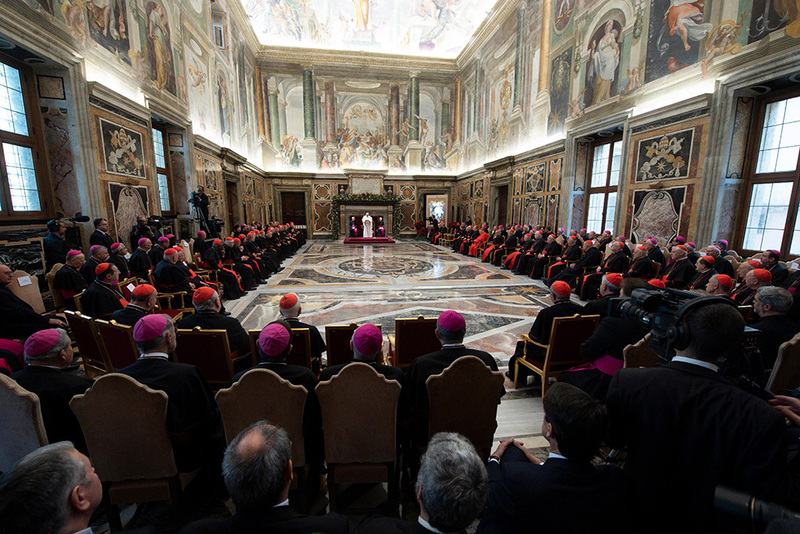 VATICAN CITY (CNS) — A draft of the proposed apostolic constitution for reforming and governing the Roman Curia will soon be sent out to leaders of the world’s bishops’ conferences, religious orders and some pontifical universities for their observations and suggestions. The draft, which has been approved by Pope Francis’ Council of Cardinals, will be subjected to this “consultative step” before it is once more amended and then given to the pope for his consideration, Alessandro Gisotti, interim director of the Vatican press office, told reporters April 10. The proposed apostolic constitution, provisionally titled “Praedicate Evangelium” (“Preach the Gospel”) also will be sent to the synods of the Eastern Catholic churches, the dicasteries of the Roman Curia, the conferences of major superiors of men and women religious and some pontifical universities. The council currently has six members: Cardinals Pietro Parolin, 64, Vatican secretary of state; Sean P. O’Malley of Boston, 74; Oscar Rodriguez Maradiaga of Tegucigalpa, Honduras, 76; Oswald Gracias of Mumbai, India, 74; Reinhard Marx of Munich and Freising, Germany, 65; and Giuseppe Bertello, 76, president of the commission governing Vatican City State. Also in attendance were the council’s secretary and adjunct secretary: Bishop Marcello Semeraro of Albano and Bishop Marco Mellino.